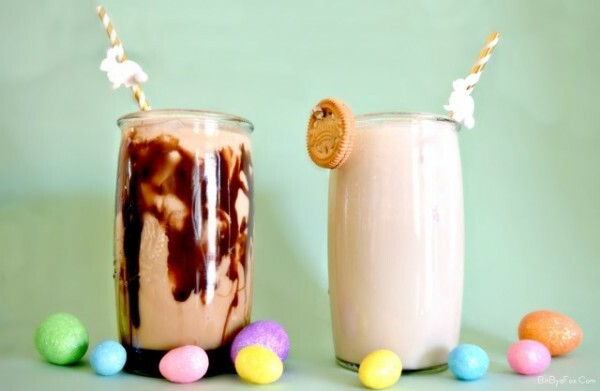 These are not your grandma’s egg creams, which traditionally have neither eggs nor cream…nor booze for that matter! 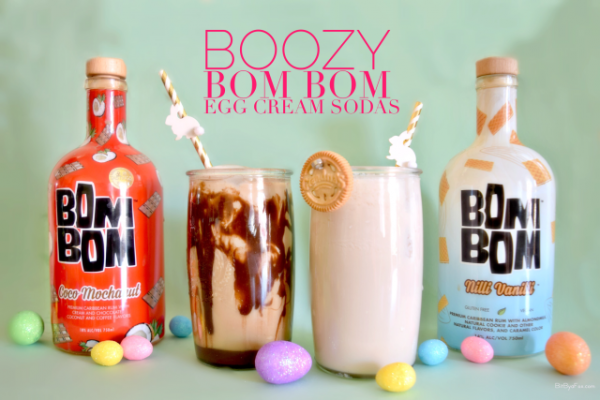 But we’re bucking tradition with these spiked versions because there’s a new cream liqueur in town, and their fun flavors are just begging to be turned into egg cream sodas. 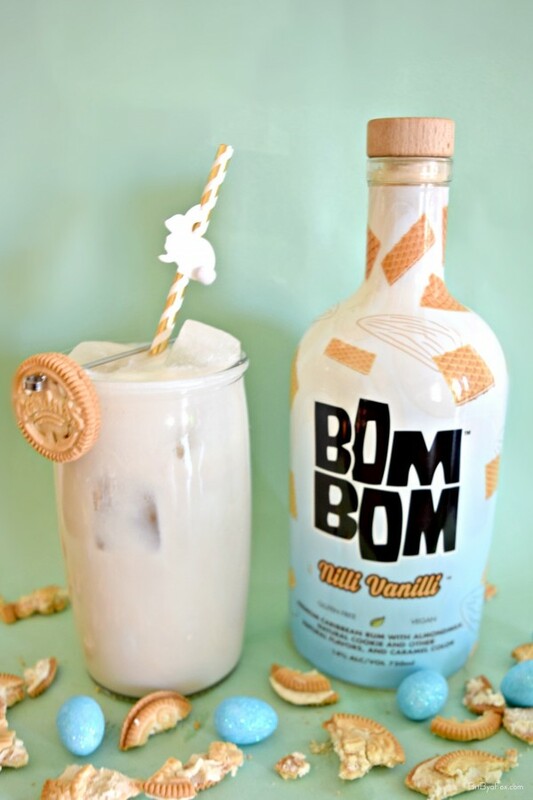 BOM BOM, which means “good good” in Portuguese and is slang for “my sweetie” in Spain, launched a year and a half ago and they currently market two products: Coco Mochanut – a blend of chocolate, coffee, coconut and Caribbean rum, and Nilli Vanilli, made with rum, almond milk and vanilla cookie flavors. BOM BOM is now sold in 11 states, and growing, and it sounds like a third flavor is on the horizon very soon. The Coco Mochanut Liqueur was the first flavor BOM BOM released. It is basically an adult version of chocolate milk. The coconut and hazelnut flavors are fairly subtle but what really rounds this combo out is the little unexpected coffee kick. When I tried this for the first time I thought it was great on its own but no doubt aMAHzing in a Coconut Mocha Egg Cream! 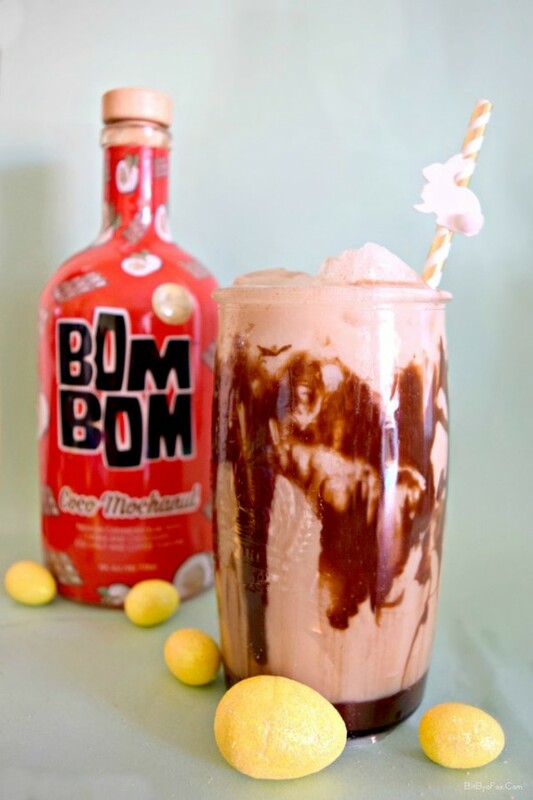 In a chilled 16 oz glass, pour in syrup, milk, rum, and BOM BOM Coco Mochanut Liqueur. Add ice and then top with seltzer and stir until there is a light foam on top. Technically, a cream liqueur is just a liqueur with cream added to it. Even though Nilli Vanilli Liqueur is actually dairy free it was recently named the #1 Cream Liqueur for 2017 by the International Review of Spirits. The almond milk keeps it lighter than most cream liqueurs and the vanilla cookie flavor thankfully tastes like real vanilla and is not too sweet. 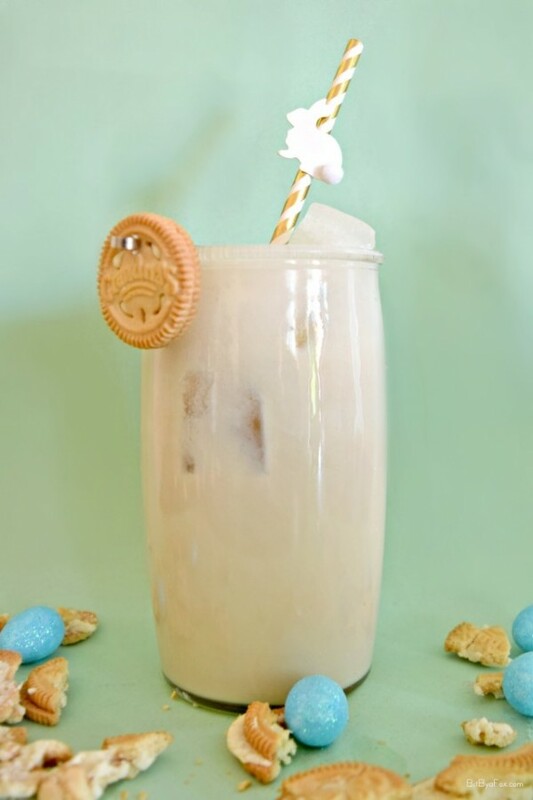 Perfect for the Cookies & Egg Cream Soda! 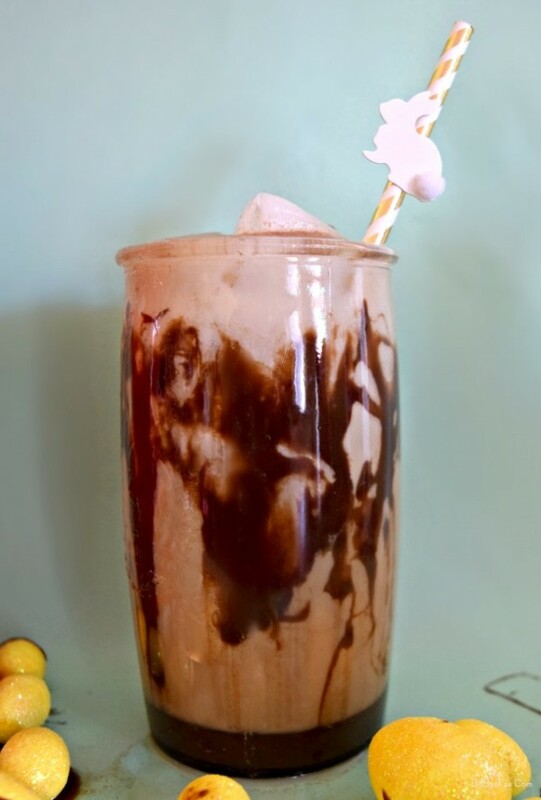 In a chilled 16 oz glass, pour in syrup, almond milk, vodka, and BOM BOM Nilli Vanilli Liqueur. Add ice and then top with seltzer and stir until there is a light foam on top. The post Boozy BOM BOM Egg Cream Sodas appeared first on Bit By a Fox.